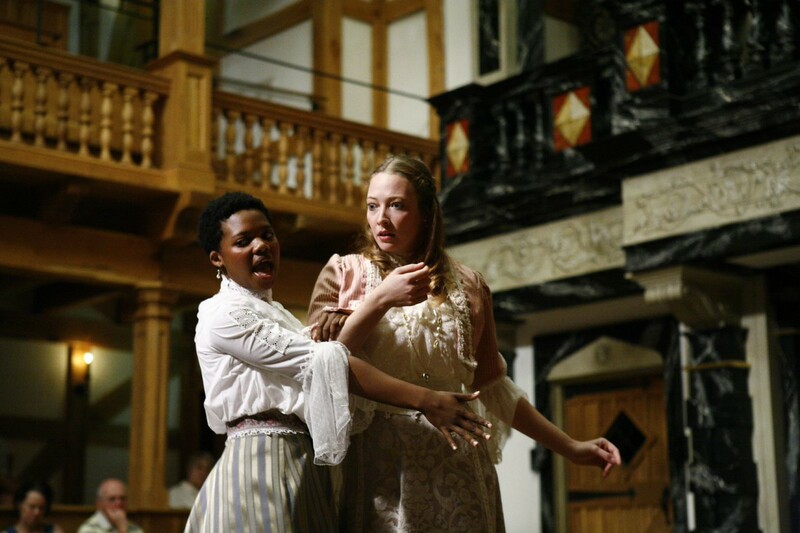 Susan Heyward and Sarah Fallon in AS YOU LIKE IT. Photo by TOMMY THOMPSON. 2006. Celia Madeoy and René Thornton, Jr. in AS YOU LIKE IT. Photo by TOMMY THOMPSON. 2006. 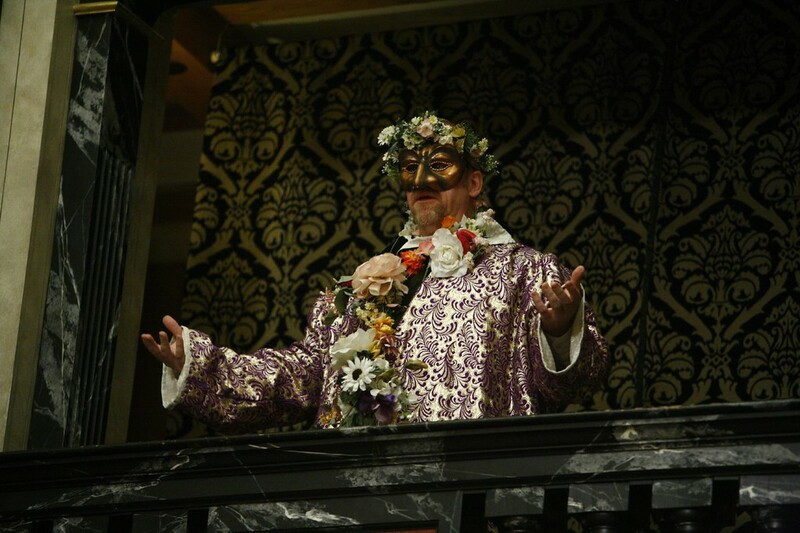 David Loar in AS YOU LIKE IT. Photo by TOMMY THOMPSON. 2006. 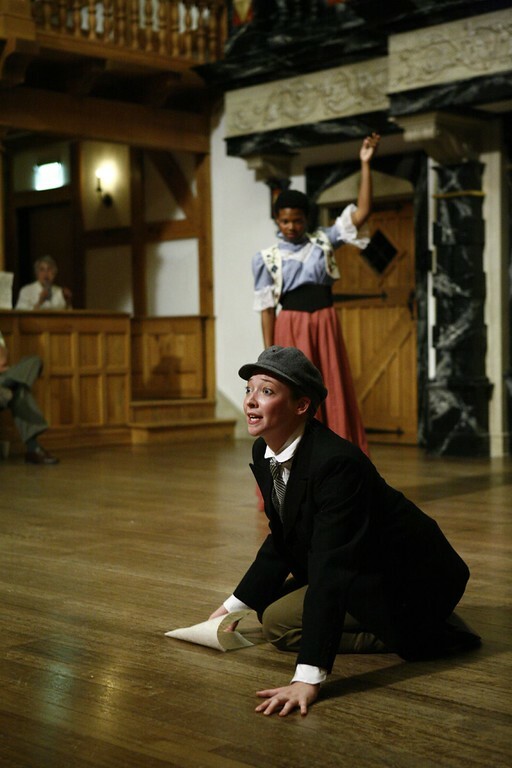 Sarah Fallon and Susan Heyward in AS YOU LIKE IT. Photo by TOMMY THOMPSON. 2006. 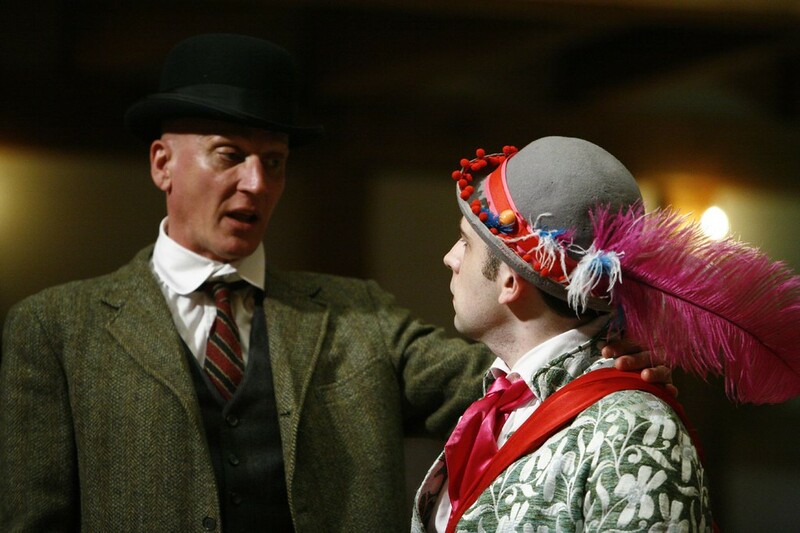 David Loar and Paul Fidalgo in AS YOU LIKE IT. Photo by TOMMY THOMPSON. 2006. 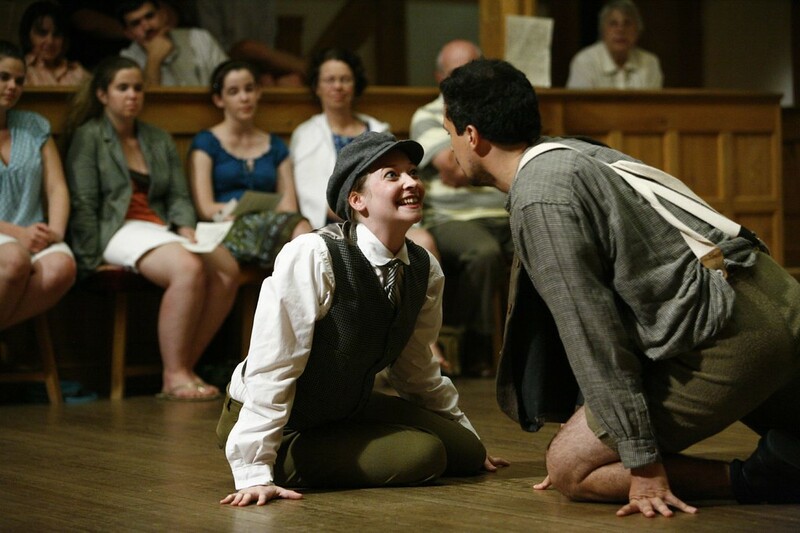 Sarah Fallon and Álvaro Mendoza in AS YOU LIKE IT. Photo by TOMMY THOMPSON. 2006. 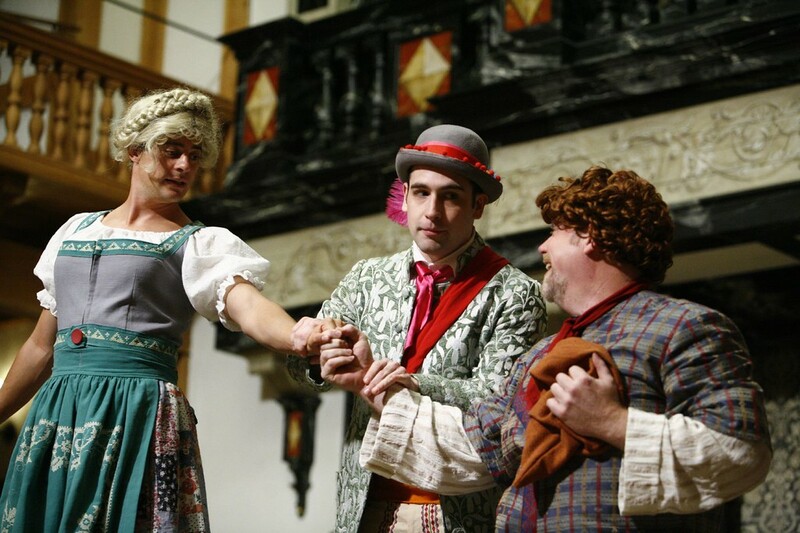 Matthew Sincell, Paul Fidalgo, and James Keegan in AS YOU LIKE IT. Photo by TOMMY THOMPSON. 2006. Celia Madeoy and John Harrell in AS YOU LIKE IT. Photo by TOMMY THOMPSON. 2006. James Keegan in AS YOU LIKE IT. Photo by TOMMY THOMPSON. 2006. The cast of AS YOU LIKE IT. Photo by TOMMY THOMPSON. 2006. Duke Frederick has overthrown his brother, Duke Senior, who has fled to the Forest of Arden with a group of followers, including a courtier named Jaques.  Orlando complains to his old servant, Adam, that his older brother, Oliver, is depriving him of his education and inheritance. Oliver hears that Orlando plans to wrestle Charles, Duke Frederick’s champion, and incites Charles to kill Orlando in the bout. At the wrestling match, Orlando meets Rosalind, the banished duke’s daughter. After Orlando wins the wrestling match and Duke Frederick hears that Orlando is the son of Sir Rowland – a friend of the banished Duke – Duke Frederick snubs Orlando instead of rewarding him. Rosalind, however, gives Orlando something of hers to wear. 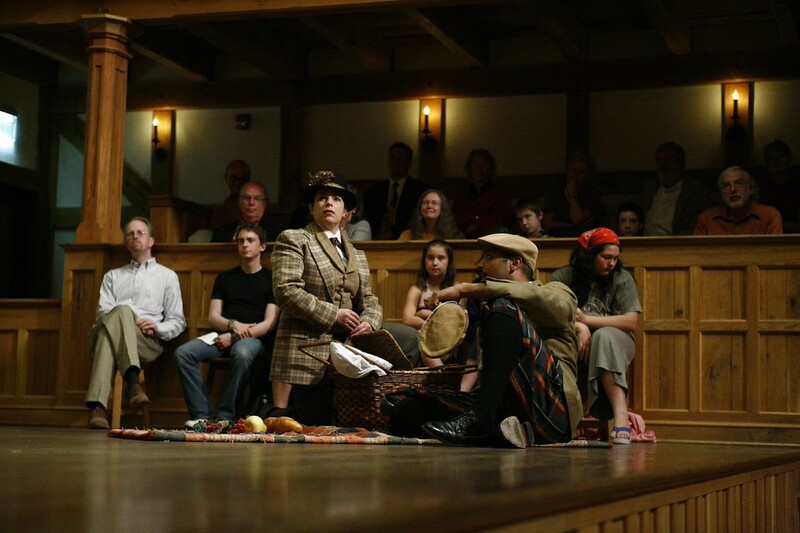 Duke Frederick banishes his niece Rosalind from court. Celia insists on accompanying Rosalind and they hatch a plan to take Touchstone “the clownish fool” and seek the banished Duke Senior in the Forest of Arden. Rosalind (disguised as a boy, “Ganymede”), Celia (disguised as Ganymede’s sister, “Aliena”), Touchstone, Orlando, and Adam reach the Forest of Arden, where the banished Duke Senior, Jaques, and other lords as well as the Arden natives Corin, Silvius, Phoebe, and Audrey are pursuing their pastoral interests. Teaching, learning, and loving ensue. Where do you go when your world falls apart? If you could create your own version of paradise, what would it be like? In As You Like It, an exiled Duke and his followers make the Forest of Arden their Utopia by finding “tongues in trees, books in the running brooks, sermons in stones, and good in everything.” When the Duke’s daughter is also banished, she flees to the forest to find her father. After being mistreated and threatened by his older brother, a young lord finds himself in Arden and is surprised to discover gentleness rather than savagery. Shakespeare bombards us with plot points until all of these people are living in the forest, where he slows everything down for a series of conversations about love, marriage, and the meaning of life. There are people who walk through my door but I don’t know their names. Time to turn my eyes from the floor and refocus my aim, it feels a little insane. This old soul is weakening and this old debt is due. This old smile is teaching me to breathe deep and renew. Another cure for what ails our brave, new, cold, computer world can be found in the 400-year-old staging conventions for which Shakespeare wrote. 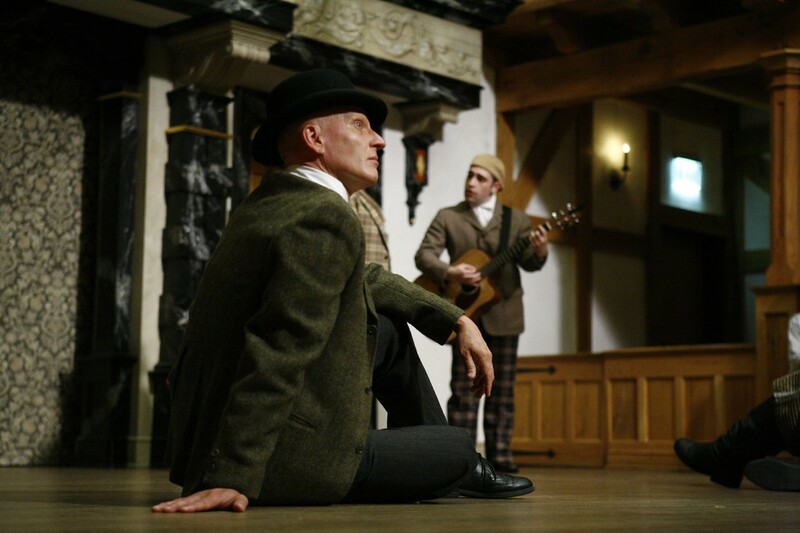 Shakespeare wrote his plays to be performed in spaces where the audience surrounded the stage and was bathed in the same light as the actors (the sun at the outdoor Globe theatre; chandeliers, wall sconces, and sun through the windows at the indoor Blackfriars). 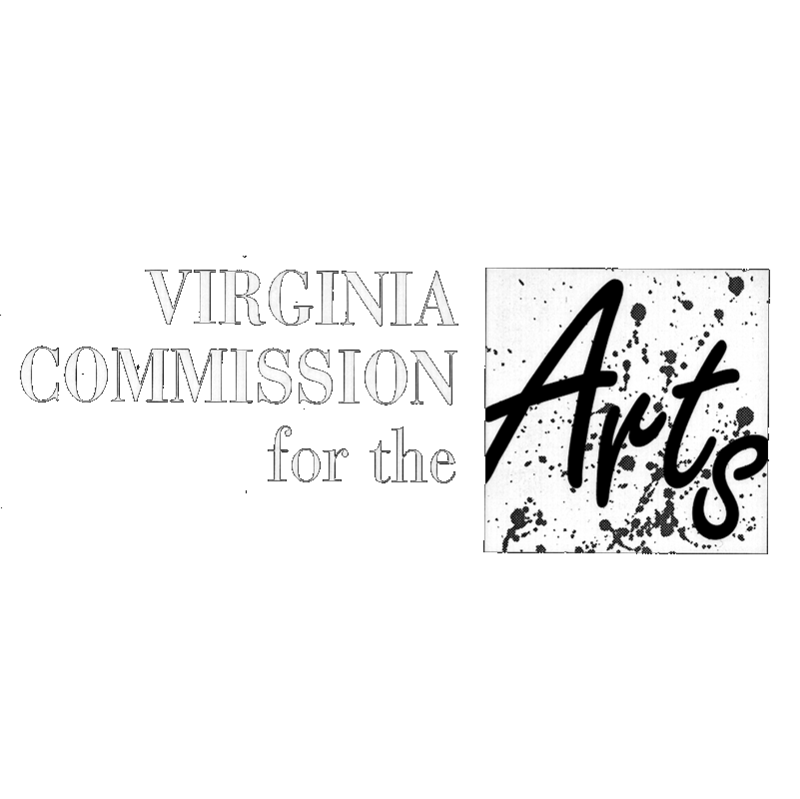 Returning to these conditions not only allows performers to build bonds with the audience, but it also creates a kind of community that is impossible to find in darkened proscenium theatres. As silly as it might sound, this sort of communal experience combined with the joys of live theatre can make the world a better place. 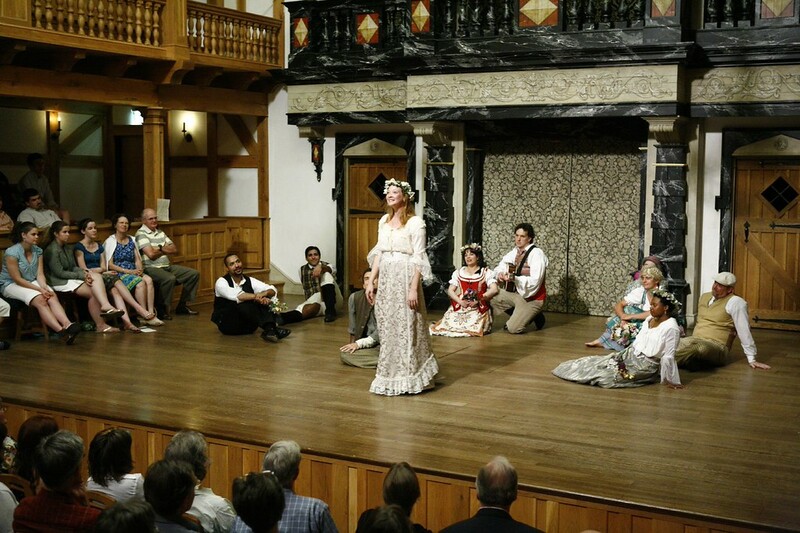 And this communal experience is an all-inclusive journey; Shakespeare wrote his plays to appeal to the unemployed, uneducated groundlings standing in front of his stage as well as to the privileged lords seated in the chambers above and behind the stage. There’s room for everyone on the rides Shakespeare wrote. In As You Like It, we invite you to delight in the journey to Arden and the fun to be had once we get there. Are you ready to ride? Awakened to a better world than this.